Havana’s Chinatown became one of the most prosperous and important in America, considered at the time as the second most important in the world, after San Francisco’s Chinatown in California. 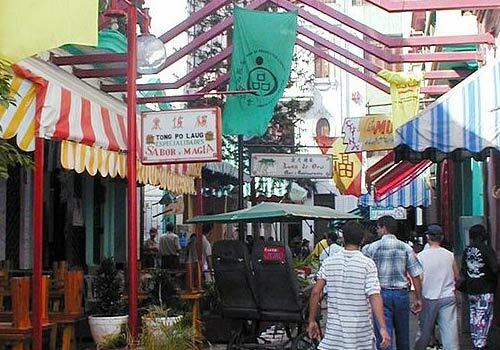 This Tour will let us walking across Chinatown’s shops and grocery stores, gastronomy outlets, restaurants, martial arts schools and other facilities that illustrate the Chinese migration in Cuba. Pick up at Villa Royal-Departure for the Access Gate to Chinatown. The also called “Friends’ Gate” or “Dragons’ Gate” depicts a Chinese architectural work, unique in Latin America and one of the largest outside that country. Visit to the Cuban School of Wushu. Founded in the heart of Havana’s Chinatown, it develops Wushu (Chinese Martial Art) and the practice of Therapeutic Exercises. Tour of different places such as the Chinese Homeopathic Pharmacy and the Newspaper Kwong Wah Po (Chinese People’s Newspaper), the only newspaper that is still published in Chinese in Cuba, its polygraph process is done through old techniques with a Linotype of the year 1900. 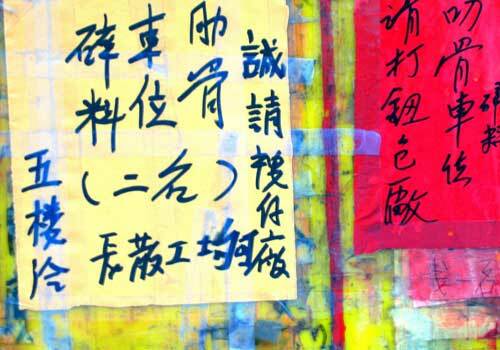 Visit to the School of Chinese Language and Arts and to the House of Chinese Arts and Traditions, where seminars, exhibitions, colloquia, and other activities such as culinary art, dance, martial arts, painting and sculpture are held. Lunch suggested by MAC at the restaurant “Tien Tan“. The dishes are made by a Chinese chef. The excellent menu that can be tasted there makes of this place one of the most authentic restaurants in the neighborhood. Departure for the Chinese Cemetery, located in Nuevo Vedado. 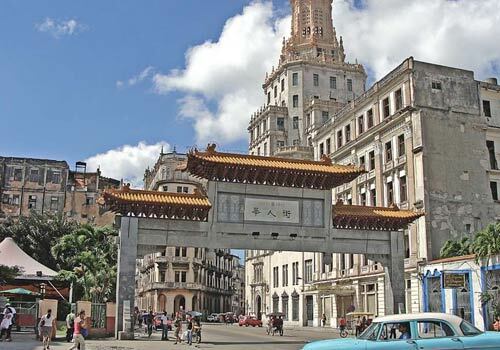 Havana’s Chinatown is the only Chinatown that has its own cemetery.